Last year’s hurricane season wrought havoc on much of the Caribbean, causing billions of dollars worth of damage to resorts stretching from Miami to Venezuela. Last year’s hurricane season wrought havoc on much of the Caribbean, causing billions of dollars worth of damage to resorts stretching from Miami to Venezuela. For the more optimistic of hoteliers, the light at the end of the tunnel was the opportunity to rebuild and rejuvenate. On the French island of St. Barths, which bore the full impact of Hurricane Irma, many of the island’s most sought-after luxury escapes are preparing to open their freshly-painted doors. 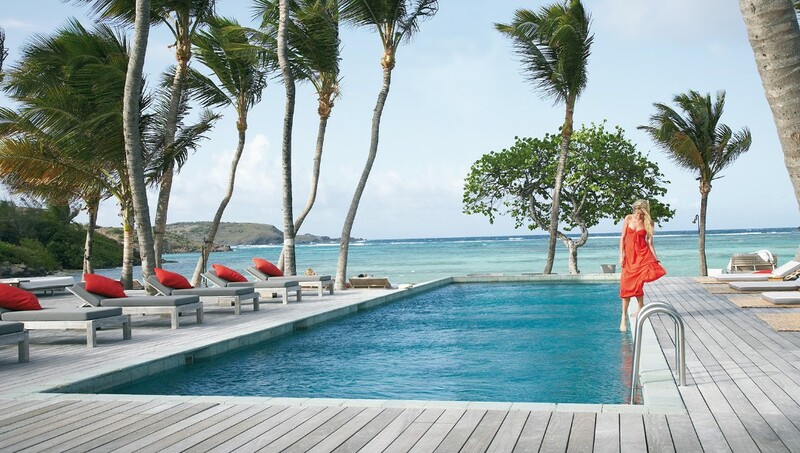 First to welcome jet-setters is Hotel Le Toiny St Barth, the ultra-elegant Relais & Châteaux hideaway on the island’s Côte Sauvage, (Wild Coast), which returns with eight new villa suites, a new bar and a new swimming pool at the Toiny Beach Club, in October. The club itself was added during a major multi-million dollar renovation in 2016, instigated by owners Reverend Charles and Mandie Vere Nicoll, who acquired the resort the previous year. The new one and two-bedroom suites bring Le Toiny’s portfolio up to 22 luxurious accommodations spread across 42-acres of palm covered beachfront, featuring private terraces and infinity pools looking out towards the ocean, and a coastal chic aesthetic created by London-based interior designer Lady Bee Osborn. On the north-eastern corner of the island overlooking the spectacular Anse de Grand Cul-de-Sac, the Contreras family’s Le Sereno St Barth remains true to its motto, “Plus ça change, plus c’est la même chose,” literally: the more it changes, the more it stays the same. 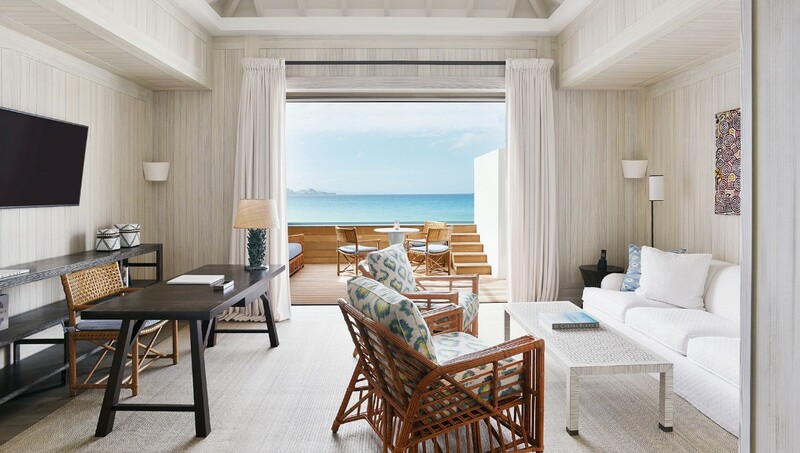 French design legend Christian Liaigre who led the original design of Le Sereno was brought back in to oversea the reconstruction, with a mandate to preserve the essence of the resort and capture the spirit of St Barths life. New Grand Suite Plage Sud rooms feature private gardens with outdoor bathtubs and direct beach access, plus Liaigre-designed furniture and four-poster beds looking out to the ocean. Including the resort’s three signature four-bedroom Villas and a new raft of Bungalow Piscine rooms overlooking the iconic swimming pool, Le Sereno is now home to 39 guestrooms, as well as a brand new spa and retail boutique, and completely reimagined dining spaces. 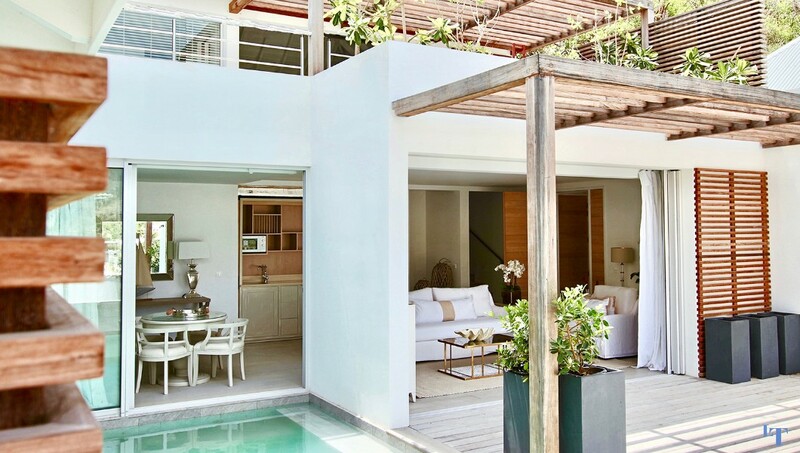 At the other end of the island, Cheval Blanc St-Barth Isle de France has received the personal attention of French designer Jacques Grange, who has infused 19 new rooms and suites with a mixture of French West Indies style and the refined French elegance for which Cheval Blanc is known. Landscape designer Madison Cox has created a tropical garden around the resort, with artist Jean-Michel Othoniel’s sculpture The Constellation of Pegasus, at its centre. A new family club, Le Carrousel, creates bonding moments between parents and kids, while two new restaurants celebrating the produce of the French Riviera and the Atlantic Ocean, face the breath-taking Baie des Flamands and the Caribbean beyond. One of St Barths most legendary hotels, Eden Rock – St Barths will also reopen in December, following a major renovation led by owner Jane Matthews. All 39 of the rooms and villas have been refurbished, and two new suites complete with private pools have been added. Three brand new suites at the top of the resort will open next year. Part of the prestigious Oetker Collection of hotels, Eden Rock features an expanded art collection, a new Eden Being Boutique, and the new Remy Room and Bar, dedicated to aviator Remy de Haenen, who opened the hotel – and in doing so, introduced tourism to St Barths – in the 1950s.